Do you have an online business that's struggling? Maybe you are a web designer or independent consultant who's having difficulty attracting new clients. Or you may be a blogger who's really passionate about your subject, but you feel like your pride and joy, that blog you've poured your heart and soul into is suffering from the Internet equivalent of “sitting on the shelf and gathering dust”. It's frustrating, isn't it? You're sick and tired of it. You want customers, readers, followers, etc. to flock to you, but no matter how hard you try to get their attention and tell them about how you can help them, they ignore you. Well, here's some great news: There's something you can do about it. You can become an online authority in your niche. Whether you are a seasoned online veteran, or a rank beginner, you can take steps, starting today, to become that authority that people seek out to give them answers to pressing problems they are tired of fighting and that they BUY from! More recognition from online peers – opportunities for joint ventures, partnerships, guest blogging, etc. If you want to open an E-Commerce store, use the Internet to attract attention for your local retail business, or build credibility with potential clients so you can sell more of your services at higher rates, become an online authority in your business niche. Chances are, you're feeling more than just a little overwhelmed. Maybe you're saying to yourself “I'm not an authority in my niche, and I don't feel like one”. Don't worry. Every online authority, including those who are now extremely influential and successful like Dan Kennedy and Seth Godin in marketing, Darren Rowse in professional blogging, or Craig Ballantyne in physical fitness was at one time a beginner who had no fan following, no perceived credibility and even little or no knowledge about the fields in which they are now recognized as authorities. Each of these individuals chose to not let their “rookie” status keep them from setting goals, working hard and confidently going after their dreams. You can do the same thing! Please don't let the fact that you are not yet a recognized authority stop you from going after your dreams. Start working toward your goals now. Remember this old adage: “Fake it 'til you make it”. That may sound strange, but it could very well be one of your keys to becoming a true, recognized online authority. People often think of us the same way we think of ourselves. Even if you are not yet an authority, people will begin to perceive you as one if you act like one and confidently see yourself as in the process of becoming one. Obviously at first you won't be one, and until you reach a certain level of competence in your field, you shouldn't try to portray yourself as one. But remember this: all of the “superstars” we talked about earlier were at one time rookies in their fields. But now they are authorities. You can become one too. First, think on what you are passionate about and have a talent for. Learn as much as you can about that field. Study it relentlessly. Blog about it, even if you do not yet have a single fan or follower. If you have to, as a way to get started, offer your services for free. Do what many now successful authorities have done to help them get started; offer your services on a pro bono basis to non-profits. Let's say you want to become a freelance copywriter and ultimately an online authority on the subject of copywriting and marketing. Once you have studied, practiced and developed some “baseline” skills, make an offer to local charities; tell them you will be happy to write some fundraising letters for free. But here's the catch: tell them that if they like what you've written and feel it was useful, you want finished copies on their organization's letterhead for your portfolio and a written testimonial you can display on your website to help you win paid business in the future. 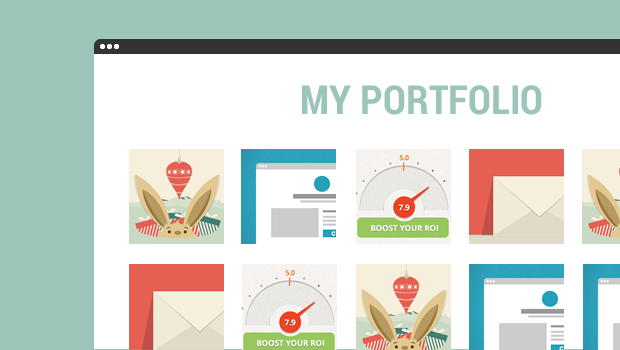 If one of your goals is to get paying clients for your services, as opposed to merely offering E-Commerce products, use these portfolio pieces and testimonials as leverage to sell yourself to future prospects. Further, let's say that you are now consistently providing your copywriting services to paying clients. You're enjoying quite a bit of success. You're very talented and skilled at your work. You do an excellent job of marketing your services. You want to become a trainer and coach to aspiring copywriters. All along, you've continued to blog, participate in social media and build your status as a thought leader. 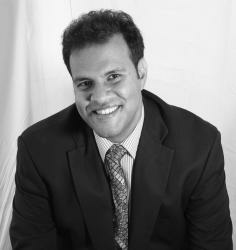 You've done public speaking on copywriting and marketing to various business and networking groups. You've had these speaking engagements filmed and made the videos available on Youtube and your website. You've guest blogged and written articles for leading industry publications. You've gone from a rank beginner to a trusted, respected, well-known copywriting authority. But you are still a rookie when it comes to coaching aspiring copywriters. Big deal. Don't sweat it. Use the skills, tools and techniques you used to go from “zero to sixty” as an authoritative copywriter to do the same thing as a copywriting coach. Start small. Offer your services on a limited basis for free, if you need to, just like you did by writing fundraising letters for non-profits. Develop a track record of coaching success. Get glowing, enthusiastic written testimonials from your students, even if you are teaching them for free. Write case studies about these success studies, and post them on your website. Actively participate in and tell your story through social media. Email: Email is one of the single most powerful tools you can use to market and position yourself as an online authority. Done right, it gives you a “captive audience” of fans who trust you, who are interested in what you have to say, and it increases traffic to your website. Social Media: Like email marketing, social media is a powerful tool for driving traffic to your website. It gives you a platform for stating your opinions; it can help build your status as a thought leader and online authority. It's an ideal tool for sharing links to your blog content and increasing blog traffic. It can help cement your authority status another way: you can curate and display the content of other authorities. Even though you didn't write it,and even though you give proper credit to those who did, the mere act of sharing it with your social media networks has the effect of enhancing your status as a perceived authority in your niche. You can provide “members only” premium content that educates them, further enhances your authority status and sets the stage for you to sell more of your products and services, such as coaching programs, downloadable educational programs, and so on. Earlier we talked about Craig Ballantyne, a very successful and well-respected online physical fitness authority. Craig offer an online club membership to compliment his Turbulence Training fitness information product. If you offer coaching services or information products, online club memberships are an ideal way to leverage your status as an authority and to keep you, your products and services in the forefront of your customers' minds and pave the way for repeat sales. Once you are widely-recognized as an authority in your niche, something very nice happens. Potential clients seek you out. You have to spend a lot less time and effort chasing after new business. But you must continue to give people the impression that you are an authority with professional status. Appearances and impressions still matter. 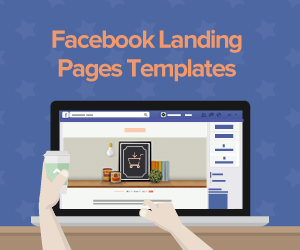 Whether you are using E-Commerce to sell a study course you wrote or you are persuading B2B leads to sign up for your latest white paper or webinar, you need landing pages. The right landing page software, properly set up with relevant images and persuasive copywriting can help you maintain your status as a recognized authority, and can help you convert website visitors into customers. This is where Lander come in. We offer an easy-to-set-up landing page platform with features that can enhance your status as an authority in the hearts and minds of your potential buyers during a critical time in the online marketing process - at the point when you are trying to convert them from visitors into buyers, or get them to take the next step in your sales pipeline, in a B2B situation. In the online environment, few tools are more authoritative than video. 52% of consumers claim that online video increases their confidence when they are making a buying decision. Lander offers you built-in online video support that's a snap to manage. A strong headline will make it more likely that you will grab your reader's attention and compel him to keep reading. A persuasive, very noticeable headline can give readers the impression that they are dealing with an authoritative expert. 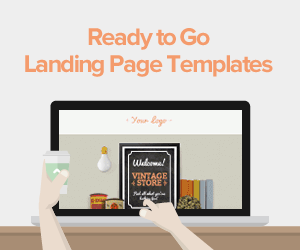 Our landing page templates feature eye-catching headline areas to help you capture your visitors’ attention. 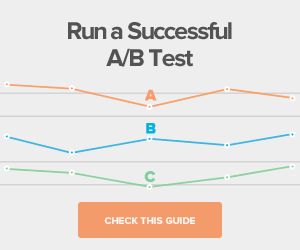 Our advanced A/B testing capability helps you fine tune your online marketing approach, so you can enjoy greater and greater results over time. 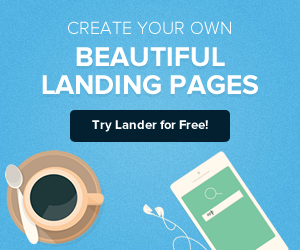 And whether you are already a recognized authority in your niche, or an ambitious online marketing beginner, here's a feature you will love: you can try Lander out for free! That's how confident we are that you will love Lander and be convinced it can help you turn more visitors into buyers. Any questions? We'd love to hear from you. Get in touch with us today.